Letterpress is a multiplayer word game created by one of the creators of Twitter app Tweetie, and it’s a great mix of Boggle-like wordplay and Chess-like strategy. It is a strategic board word game in which you are presented with a grid of letters and must make words out of them. 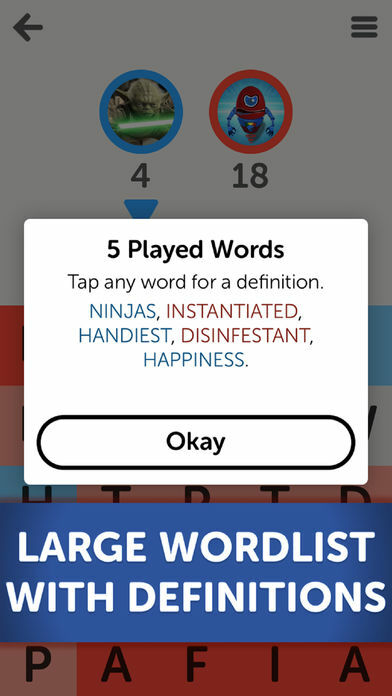 Letterpress is not your typical word-based games. The rules are a lot different than the usual word games and the game is multiplayer only, there is a lot of strategy involved when trying to win the game. Players use letter tiles from a randomly created grid in each game to form words, and using those letters turns their tiles to your color. The goal is for every letter to be turned to either your color or your opponent’s color, and to have more of your color when the last letter is used. 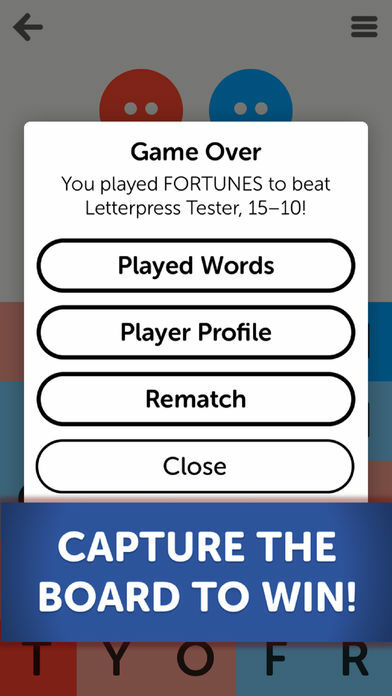 The strategy element of Letterpress is awesome. 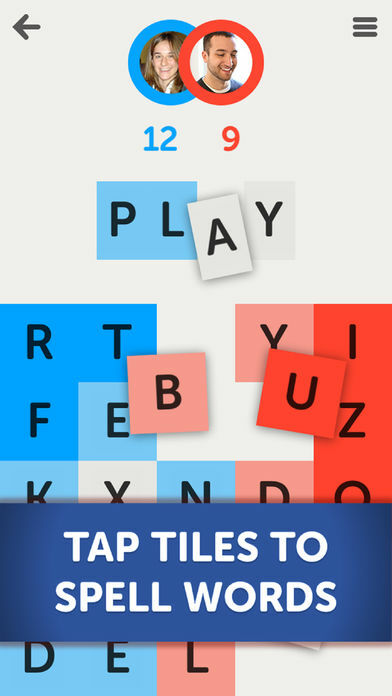 Not only do you want to create intelligent words to net lots of tiles, you’ll want to steal tiles from your opponent by using letters they’ve used, but in different ways. Because the game ends when all tiles get used (or both players pass their turn), you need to be careful to make sure you have a high letter count before someone uses that last “Z” or “X” to close out the match. You can also protect letters by surrounding them with your tiles, which makes them harder to turn to the opponent’s color. The whole thing supports asynchronous multiplayer, so you can play multiple games at once and take turns with opponents from all over the world. 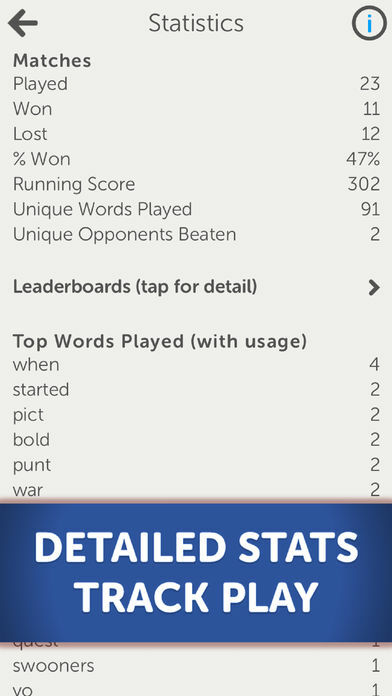 After unlocking the game, you will also be able to view all the words that have been played in each round. PLAY words at your own pace. Notifications signal your turn. ALWAYS FREE and full-featured games. 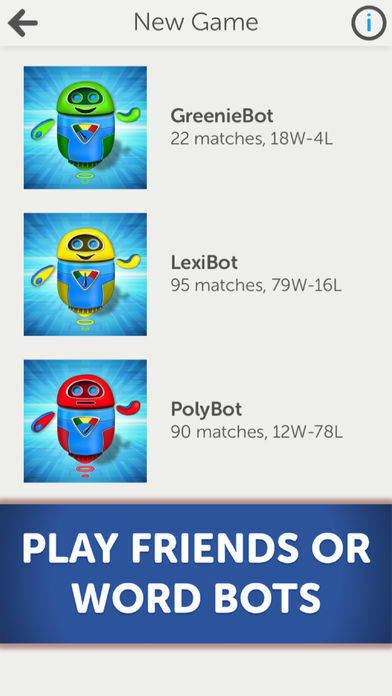 COMPETE against friends, let Letterpress find you an opponent or challenge one of our Bot players. CHAT in real-time with other players. TRACK your performance with Statistics and Leaderboards. DICTIONARIES power real-time word definitions. Many more game features and customizations available.